Carpet and tile cleaning discounts? If you have ever used us in the past then you know Eco Clean is competitive. This might be your first time, please be assured the price you pay is backed by 100% price match guaranteed. Eco Clean will match any written estimate or even previous receipt from another professional company. If you have a competitors coupon we will gladly accept that for your service. We know price is important, and that’s why we offer the levels of cleaning that we do. You will not find a better company that offers Carpet and tile cleaning discounts with the same results. We guarantee it! We have a button to check when you schedule online, it asks if you would like to join our special offers once a month? We encourage you to mark this, and promise they are worth getting, and we even offer last minute specials good for that day only. There is never pressure, but when the times comes for an appointment that might have cancelled last minute. We want you to k now about it. We will offer these spots for 50% off just to keep them filled. 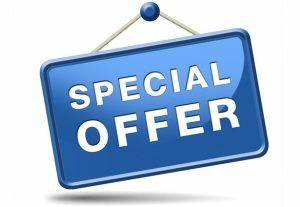 So remember to check the once a month special offers button or ask when scheduling on the phone. These spots are offered on our direct e-mail clients and Facebook pages only! Everyone likes great discounts, and the most professional job you would expect at any price range. We know all carpet cleaning companies have discounts. How do you tell when your getting the best? What about a guarantee? What if you had an estimate for less by another company? Just show us and we will take care of the rest. Though this does not happen often we are always happy to match a competitor. Sometimes the job is priced a little higher then normal and it doesn’t mean you get half the job done or a portion of the quality. You get a 100% price matched and always guaranteed cleaning. The price matching just assures you got the best deal in town. You already know it’;s the best cleaning possible! My wife is super sensitive to chemicals. Just wondering if the eco-friendly products have much of an odor. We tend to very earth friendly and essentially shop with that in mind. It’t great that you offer eco products. I’m scheduled for 11 am Monday, April18, and wanted to get the”Flash Sale” special discount….couldn’t find how to do that. Eco Clean is the very BEST of its kind, and friends we have referred agree!! Thank you Cathy, you have been with us since the beginning. Thank you so much for all of your support.